We are an independent collectables retailer with an impressive pedigree dating back 50 years. Renowned for our production of First Day Covers we have expanded into a wide range of collectables such as stamps, autographs, silver, china, books and many more fascinating items. Today we stock an impressive array of collectables, here you will find the rarer covers, stamps, gold and silver coins, original pre-war cigarette cards, postcards, ephemera, books, china and glass, enamels, limited edition prints, original artwork, royalty memorabilia and much, much more. There will be something here for everyone, from the autograph of your latest action hero to original memorabilia from the Coronation that never happened, Edward VIII’s, from beautiful gold proof coins to rare and collectable philatelic errors. 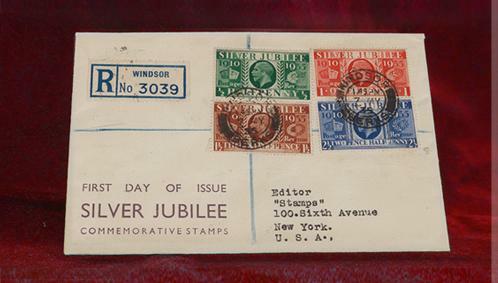 To view the many Benham covers that we have produced over the years and a vast selection of other First Day and commemorative covers visit our sister company at benhamphilatelic.com.